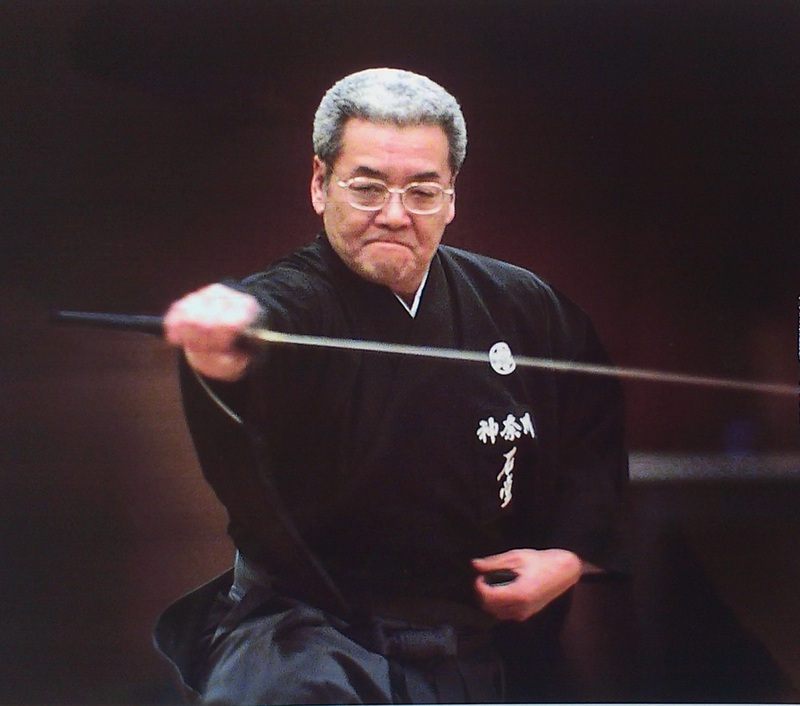 The arts of the sword as we know them today probably began with Iizasa Choisai the founder of the Tenshin Shoden Katori Shinto Ryu. This school included the use of many weapons from sword and bo to spear and shuriken. One part of its curriculum was the fast draw and instant use of the sword, either in self-defence or as a pre-emptive strike. This section of their study is called Iai-Jutsu. Hayashizaki Jinsuke Shigenobu (1542-1621) like Iizasa Choisai is reputed to have received a divine inspiration which led to the development of his art called Muso Shinden Jushin Ryu Batto Jutsu. Here Batto means simply to draw a sword. The significant factor common to both of these schools as with many other sword schools which concerned themselves predominantly with the drawing of the sword, was that the art was practised purely as kata. How then can a martial art be fully effective when it it is practised only as solo kata against an imaginary opponent? This is a much more difficult question than it at first seems, the problem begins when trying to define ‘fully effective’, and consider what ‘effect’ is required. Of course, in kata there is no repeated opportunity to prove your technique in combat as there is in fencing kendo, and in the repeated patterns of kata there seems to be no opportunity to modify your movements in response to those of your opponent. As a fighting art of the modern world it is all too easy to see the sword arts superficially and criticise them as inappropriate, simply because we do not walk along the street carrying a sword.The way of the martial artist should be to avoid conflict.This was explained thousands of years ago by Sun Tsu in The Art of War and later by masters of strategy. 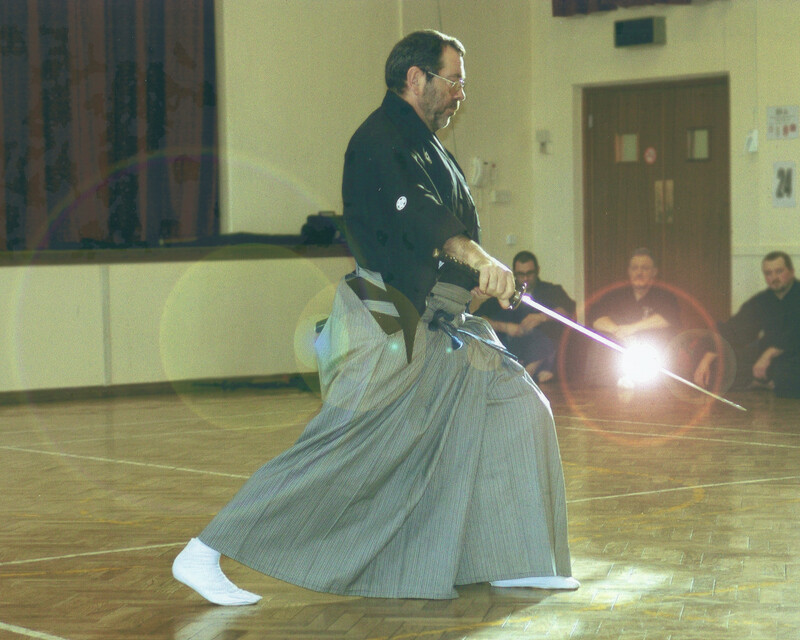 The martial artist who trains fully and correctly, directed by a sensei, will develop an ability to recognise difficult situations and avoid them before they become a problem, or will engage the conflict before it has grown to become a significant matter, or will maintain a state of mind and body that will not offer opportunities for an aggressor. This is the meaning of Iaido. The Shin Bu Kan | Powered by Mantra & WordPress.